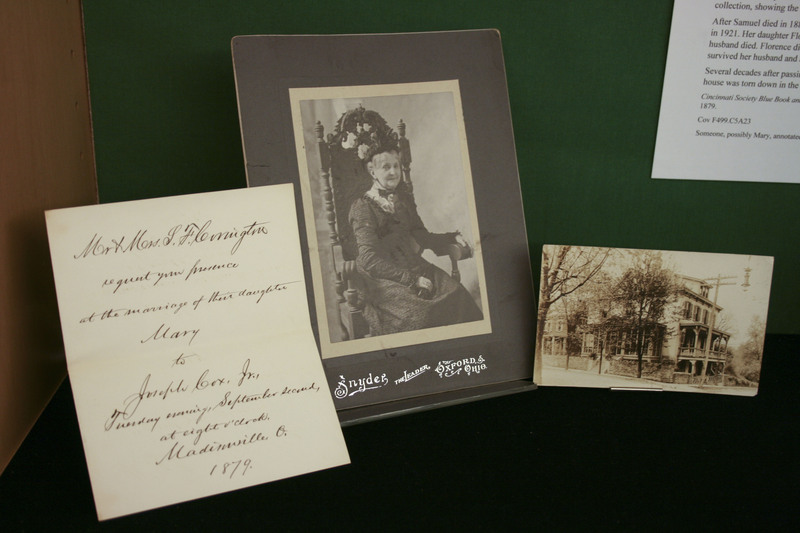 The Samuel Fulton Covington Collection includes important collections of both books and manuscripts. Covington (no known relation to Covington, Kentucky) was an Indiana native who built a successful career in the crowded Cincinnati insurance industry during the second half of the 1800’s. His experiences and those of his family typify the growing middle class that evolved in industrial America. 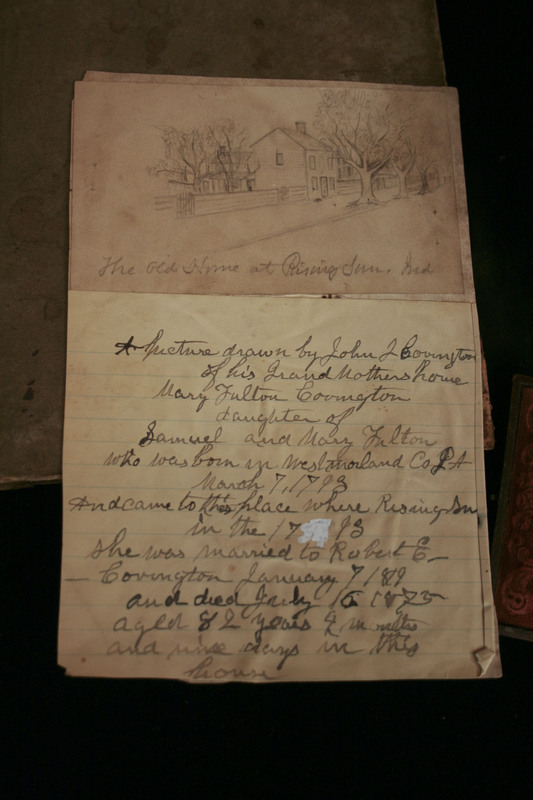 In addition to Samuel’s important collection of books on Ohio and mid-American regional history, the family’s remarkable collection of diaries, correspondence, scrapbooks, photographs and ephemera provide a fascinating look at an earlier Cincinnati. 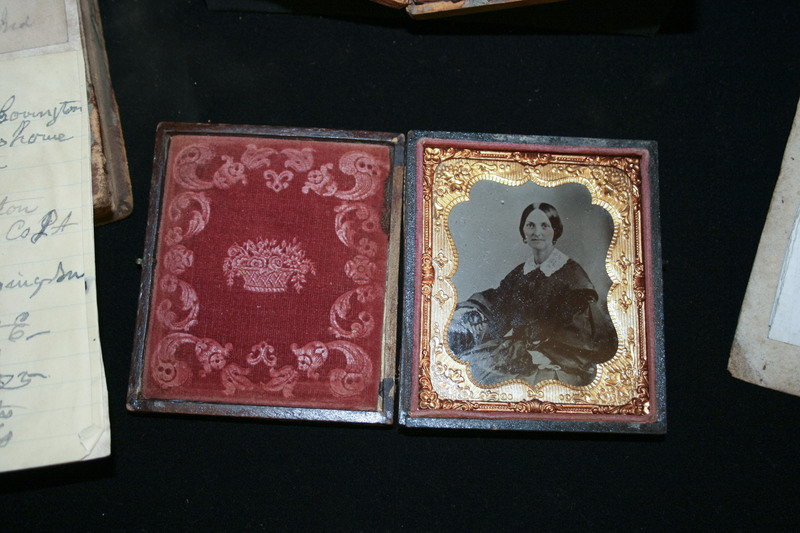 A bibliography of the materials in the exhibit may be found here. 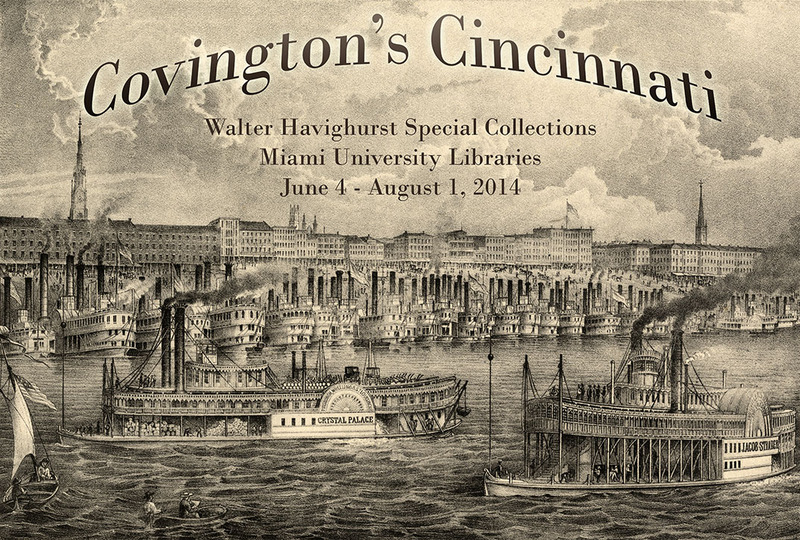 This summer, we invite you all to enjoy this look at Covington’s Cincinnati and the Covington Collection. The history of the Old Northwest Territory and the Ohio River Valley is available in the Covington Collection of over 10,000 volumes that chronicle exploration, settlement and growth of these areas. 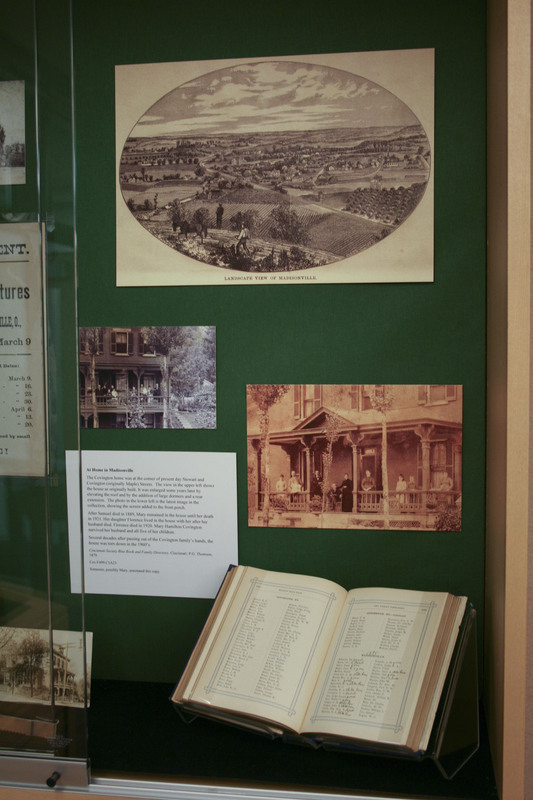 Shedding light on the region are emigrant guides; books on farming and mechanical arts; early regional imprints; and territory, state, regional and local histories. Contemporary accounts and documentary material chronicle the history of transportation, including early railroads and river navigation, with special emphasis on the Ohio River system and Cincinnati’s riverboats. Early U.S. exploration is represented in materials by Lewis & Clark, Zebulon Pike, Stephen Long, Robert Stanton, and Henry Schoolcraft, as well as works on Arctic, Antarctic and Canadian expeditions. Works about British, French and European exploration are also represented. Writings and translations of early missionaries living in North America, together with early maps and atlases, enhance these collections. The exploration of the United States is tied almost directly with the development of transportation. 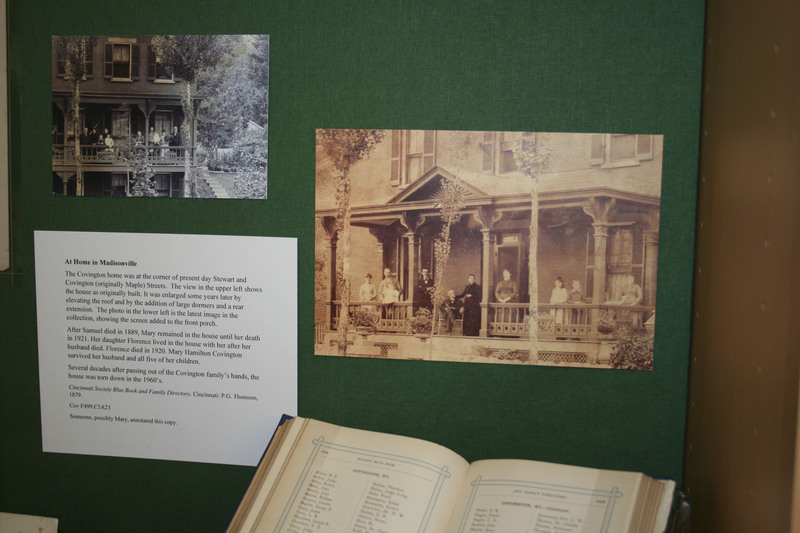 The collections include stagecoach, canal and railroad timetables, and materials documenting the development of inland river and steamboat transportation on the Ohio and Mississippi River systems.